WEST PALM BEACH, FL --(Marketwired - November 02, 2016) - Four distinguished honorees have been selected for the 2016 Stem Cell Action Awards. For 12 years, the nonprofit organization, now known as Regenerative Medicine Foundation, has honored the stem cell and regenerative medicine community's top innovators, leaders, and champions. 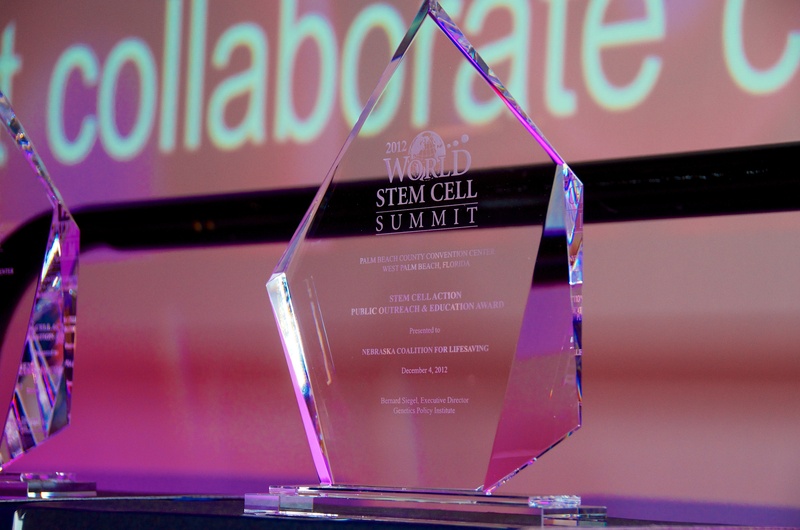 The honorees are recognized at a gala reception and dinner on Wednesday, December 7 during the 12th annual World Stem Cell Summit & RegMed Capital Conference at the Palm Beach County Convention Center in West Palm Beach, Florida. This year's Stem Cell Action Award Honorees include a path-finding diabetes researcher motivating the biomedical community to take a stand for cures, two visionary philanthropists strategically building translational research projects and a devoted mother, turned advocate, who is creating awareness about the scourge of childhood cancer. All four have devoted themselves to accelerating stem cell and regenerative medicine to improve health and deliver cures. Leadership Award: Bernie Marcus - Stem cell and regenerative medicine benefactor, Bernie Marcus, is a recipient of a "Leadership" award for his visionary strategic philanthropy. The co-founder and former CEO of The Home Depot, has provided grants through the Marcus Foundation, to fund the new Georgia Tech Marcus Center for Therapeutic Cell Characterization and Manufacturing (MC3M), as well as clinical stem cell trials and research in the treatment of autism, stroke and cerebral palsy at Duke, asthma and lung disease at the University of Miami and Case Western Reserve, neonatal heart disease at Emory and Children's Hospital of Atlanta, and cancer cellular therapy trials at City of Hope, Penn, Miami and MD Anderson. The Marcus Foundation has also created centers of excellence in Autism, Stroke, Trauma, Emergency Medicine, Integrative Health, Neuroscience, and Heart disease in Atlanta, Philadelphia, and Boca Raton. Leadership Award: Don Soffer - The celebrated Florida real estate developer Don Soffer, who created the thriving Aventura community, will be honored with a "Leadership" award. Under his stewardship, the Soffer family provided a transformative $25 million gift to the Interdisciplinary Stem Cell Institute (ISCI) at the University of Miami Miller School of Medicine. The contribution has boosted ISCI into the highest orbit of translational regenerative medicine. Advocacy Award: Camillo Ricordi, M.D. - Dr. Ricordi is the director of the Diabetes Research Institute and Cell Transplant Program at the University of Miami Miller School of Medicine. Acknowledged as one of the world's leading scientists in diabetes cure-focused research and cell transplantation, Dr. Ricordi has author over 1,000 scientific publications. He has been awarded 25 patents including the automated method and Ricordi Chamber used to obtain large numbers of insulin producing cells from the human pancreas. The technology was used in the first successful islet cell transplants and is still used worldwide for clinical islet transplantation. He is currently working on immunomodulation and stem cell strategies to reverse autoimmunity, and on biologic replacement platform technologies "BioHUB" for the cure of diabetes without the need for anti-rejection drugs. Dr. Ricordi has also devoted himself to supporting the cause of stem cell research. He is a founding member of the science advisory board of Genetics Policy Institute and in 2004 he spoke at the organization's seminal meeting at the United Nations headquarters. He founded and served as the first president of The Cure Alliance, an important advocacy nonprofit organization whose primary goal is to promote collaborative efforts and help accelerate potential cures from the laboratory to the bedside. Inspiration Award: Sandy Barker and The Gold Rush Cure Foundation - Sandy Barker and her husband Gary founded Gold Rush Cure Foundation in memory of their beloved son, Christian Gordon Barker. Besides supporting children battling cancer via their "Pot of Gold" program, the foundation commits itself to advocating both locally and nationally for increased awareness and research funding for childhood cancer. Sandy will be making her 20th advocacy trip in February 2017. She has distinguished herself as a key spokesperson and advocate supporting an accelerated regulatory pathway for regenerative cellular therapies. Sandy sees the vital need for improvement in this area as she mentors numerous families affected by childhood cancer. Some of the previous Stem Cell Action awardees have included Michael J. Fox, Brooke Ellison, Robert Klein, Bob Nerem, Susan Solomon, Ann Murphy, Mary Ann Liebert, Research!America, National Association of Biology Teachers, Juvenile Diabetes Research Foundation (JDRF), the Huntington's Disease "grassroots" advocacy community, ALS Worldwide, and philanthropists like A. Alfred Taubman and T. Denny Sanford. The World Stem Cell Summit & RegMed Capital Conference is the original translational regenerative medicine conference. The Summit aims to accelerate the discovery and development of lifesaving cures and therapies, bringing global stakeholders together to solve global challenges. The 2016 Summit Organizing Partners are: Regenerative Medicine Foundation (RMF), Center for Advancement of Science in Space (CASIS), Mayo Clinic, Kyoto University Institute for Integrated Cell-Material Sciences (iCeMS), Interdisciplinary Stem Cell Institute at the University of Miami Miller School of Medicine, Wake Forest Institute for Regenerative Medicine, Diabetes Research Institute Foundation, The Cure Alliance, Centre for Commercialization for Regenerative Medicine (CCRM) and Nova Southeastern University Cell Therapy Institute, More than 225 speakers and panelists will discuss the latest scientific discoveries, funding opportunities, translational issues, legal and regulatory solutions, and best practices. The event is expected to attract more than 1,200 attendees from 35 nations. The Summit will be held December 6-9, 2016, at the Palm Beach County Convention Center, West Palm Beach, Florida. Regenerative Medicine Foundation (formerly called Genetics Policy Institute) is a 501(c)(3) nonprofit organization dedicated to accelerating regenerative medicine to improve health and deliver cures. We pursue our mission by producing the World Stem Cell Summit & RegMed Capital Conference, honoring community leaders through the Stem Cell Action Awards, supporting our official journal partner STEM CELLS Translational Medicine published by AlphaMed Press, organizing educational and policy initiatives and fostering strategic collaborations. RMF maintains offices in Florida and California. For more information about RMF, visit www.regmedfoundation.org. 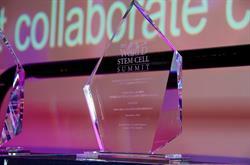 Visit worldstemcellsummit.com and follow @WSCSummit on Twitter. For information about sponsoring or attending the World Stem Cell Summit and the Stem Cell Action Awards, contact Alan Fernandez at (650) 847-1640 or email alan@regmedfoundation.org.